I always have something I am working on and trying to improve that's why its always great when brand partners such as Mazda team up with you to make your dreams and work a reality. This past week I drove a Mazda CX-9 and honestly forgot I was driving a SUV. It drove so smooth, every time I picked up a little speed it felt as if I was driving a sports car. The sunroof was a a great addition to take in the amazing weather that we had experienced that week. My week started off with the Mazda in Austin - I was closing my work week at SXSW. I was at SXSW networking, learning and doing a few things with Wrangler Jeans. If you caught my Instagram stories, you saw the fun that was had at the Yeti store where Wrangler and Yeti partnered for cool SXSW showcases inside the Yeti store. I have a love and hate relationship with Austin - I used to live there in my early 20's and for personal reasons it is not my favorite city to visit, however - I did have fun. I caught up with my nephew, his girlfriend, my niece and friends. I attended some music showcases, ate some great food, and met some great folks along the way. Parking was horrible, had to park in parking garages the whole time but we took some great pictures. 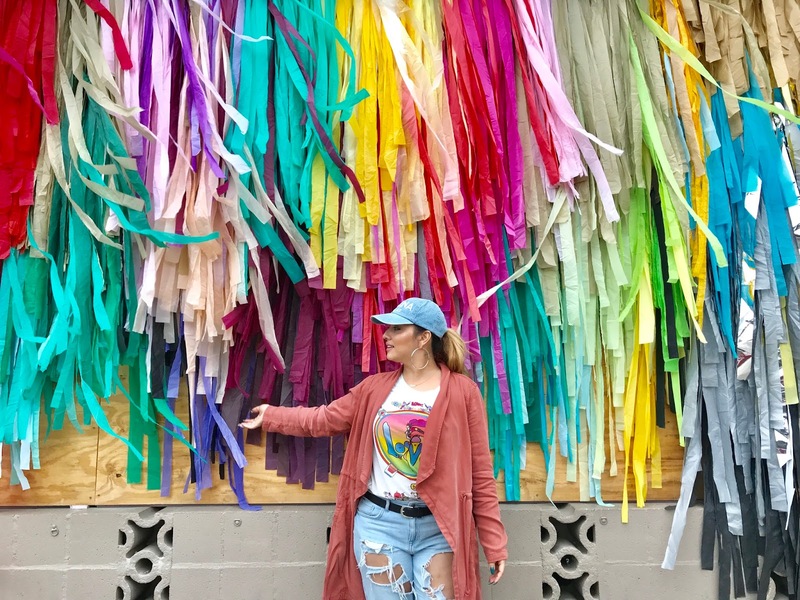 I attended a brunch with Latina Magazine and Shea Moisture one morning and caught up with some fun Texas Latina Bloggers (which is always great to do) . We talked beauty and what it meant to Latinas. Our convo went well, heard some stories from the women and learned what the girls points of views were on different topics. Overall a beautiful morning. I headed back to Houston in the Mazda, Anthony and I. He loved all the extra space in the back seats. He played video games, we sang songs out loud together (something we love to do) and made it back to Houston in no time. Upon returning to Houston, back to busy! I attended a few media events, but mostly caught up with emails and back to being a busy working mom!